Now go to the Proxy | Intercept tab and click onto “Intercept is on” button to disabled it. Otherwise you’ll need to acknowledge every request. The proxy is already running but only on localhost, we need it to listen on all to look at traffic from other devices. And in this case I want to see the traffic to a specific host from my mobile, so I set Burp to port 443 and to invisible mode and define a redirect IP address (the original host IP address). For other devices or requirements it is also possible to use Burp as a HTTP Proxy, just configured it on the client. 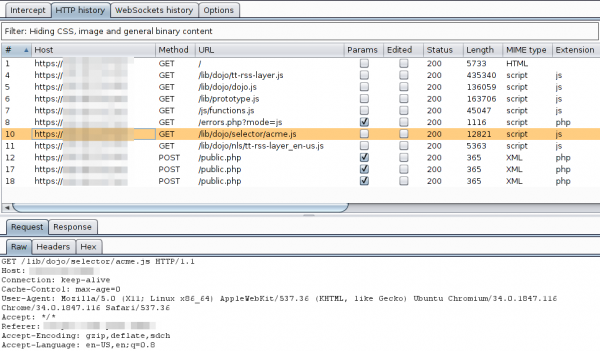 ARP spoofing is also an idea…..
Great Post! Was jw if anyone knew what do the options after the sudo java statement mean/do (specifically -Xmx2g)? thanks. Entries and comments feeds. Valid XHTML and CSS. 77 queries. 0.146 seconds.